Yesterday I returned home from a four-day retreat with some of the most inspired, inquisitive fiber artists I know, visions of indigo still dancing through my mind. At home a package from Interweave was patiently awaiting my return—the advance copy of my first book had arrived. 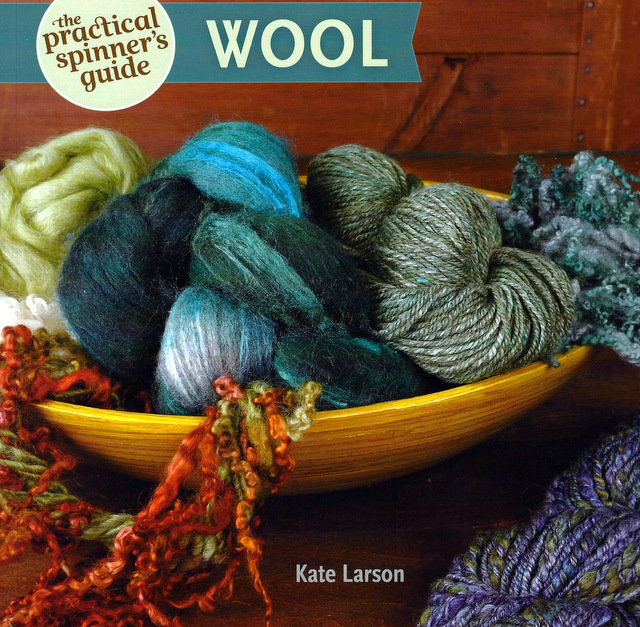 For about a year and a half, I’ve been working diligently on The Practical Spinner’s Guide: Wool. This ode to my life-long woolly passions has been the focus of my energies as the seasons have rolled by. Now to see it on printed pages and to feel the splendid weight of it in my hands is a marvel. You can order it now through Amazon, the Interweave Store (also as an ebook), or directly from me if you would like a signed copy. From the very beginning, the first rough outline, the ethos of this book has been about community. Sheep and wool are enormous topics, spanning continents and millennia. When I sit at my wheel and spin, I feel connected to all of it—ancient sheep and peoples, present-day shepherds, researchers, and my fellow handspinners. This book is a practical, comfortable intersection of these perspectives. So much research. Pictured here: an 1837 edition of Youatt’s Sheep. 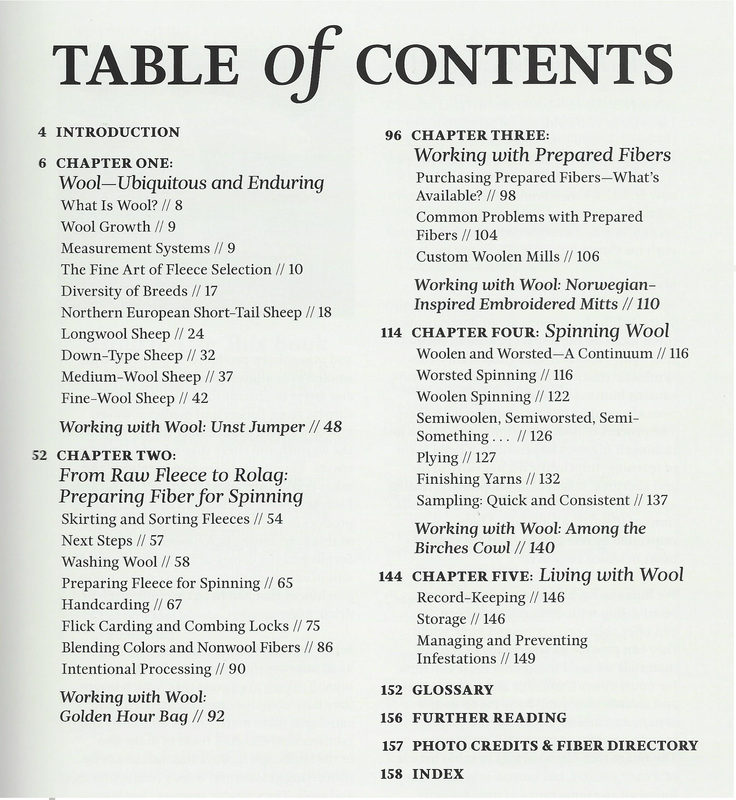 The book includes profiles of seventeen breeds of sheep whose wool is commonly available to handspinners today. One of my favorite things about this resource is that each breed profile includes an interview with a shepherd. Hearing a shepherd describe in his or her own words what they like and the traits they select for in their own flock is a singular experience. And as a shepherd myself, I understand that neither individual flocks or sheep breeds are static things. As one generation succeeds another, a shepherd’s vision and choices move the flock forward, directing the course of the genetic group. It was such a pleasure getting to know the shepherds included in this project—I think you will enjoy getting to know them, too. How to select a fleece and the common fleece problems to avoid. Intentional fleece processing—identifying common problems and how to fix them. Take a walk through Zeilinger’s Woolen Mill to see what a carding machine really looks like. Working with the beautiful (and not so beautiful) rovings, batts, and combed tops that are available today. Wool-centric spinning techniques and yarn designs. Finishing techniques for different types of handspun yarns. A lengthy discussion on fiber storage, wool pests, and dealing with infestations. Congratulations on your new book, Kate!! !